Amethyst is a rather common gem and varies in colors of purple. Deeper purple colors tend to be more valuable. 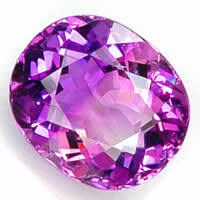 Shades of this birthstone can vary from a faint lilac, to bright purples, or even deep violets. February's birthstone, amethyst, is thought to have healing, empowering, and purifying properties. Amethyst is also thought to aid in sobering, and believed to help a person from becoming inebriated while drinking. In ancient times, necklaces made of amethyst were believed to prevent poison from contaminating the body. The stone was used by healers as a talisman for those who were sick. Amethyst's beautiful color has also been linked to royalty because of it's variations of purple. People have believed that they have become more powerful by donning the purple stone on jewelry. Today, the meaning of this birthstone mainly focuses on purity. It is believed that a person born in February would have a pure heart, and be able to resist temptation by wearing or holding amethyst. Amethyst is a variation of the silicate known as quartz, and naturally takes thousands of years to form. 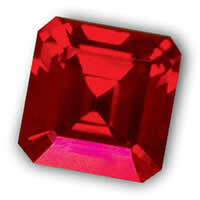 It is a translucent mineral, which means light passes through it. Amethyst can form in sedimentary, igneous, or metamorphic rock. It is can basically form wherever conditions are right. Some amethyst forms in geodes, or spheres comprised of limestone on the outside and a quartz inner core. The most common crystal formation of February's birthstone is a hexagonal shape. These crystals can vary in size, and can range from a few millimeters to several feet in length. Some amethyst crystals form in a three sided pyramid structure, but this is less common. 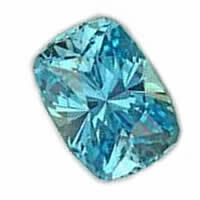 This birthstone is very strong, weighing in as a 7 on the mineral hardness scale. Amethyst is a framework silicate, and it is comprised of mostly silicon and oxygen. These are two of the most common elements on planet Earth. Silicon dioxide, or SiO2, creates a hexagonal atomic structure which enables other elements to attach to it. The combination of these minerals, along with tiny amounts of iron or manganese, is what produces the purple color in amethyst. Amethyst that contains a larger percentage of iron or manganese will be darker in color. The stone also appears shiny because of the large amount of silicon in the composition. Most amethyst is found in a naturally occurring state. North America provides a large portion of the available amethyst on the market. There are also a few large outcrops of the birthstone in South Korea. These mines produce a majority of the amethyst used in jewelry. In the production of jewelry, the crystals are gathered from the mine, polished, and cut in order to fit into a setting. Other fine specimens are polished and displayed in their natural state for decorations in households, offices, or museums. Recent technological advances have made it possible to create the birthstone in a laboratory setting. It is nearly impossible to detect the difference between the synthetic versions from the natural amethyst. There are benefits to creating the mineral in a lab, such as producing a desired color or creating the mineral in a much shorter time.